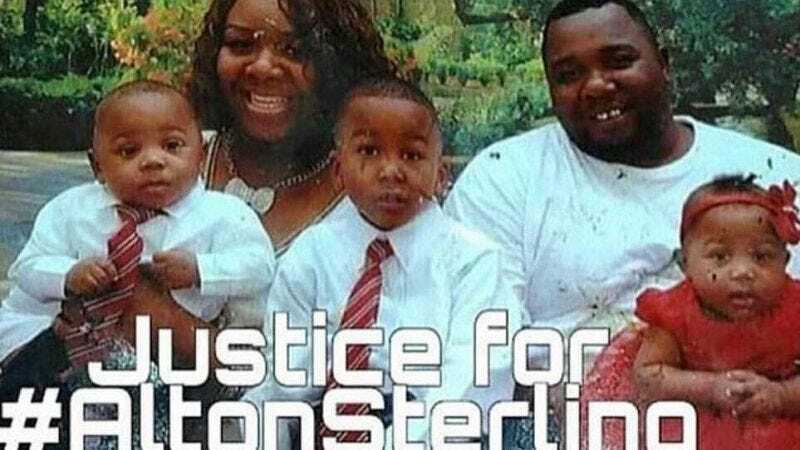 We’ve had to endure another senseless killing of a black man by police—that of 32-year-old Philando Castile in the suburbs of St. Paul, Minnesota—since then, but yesterday, the news was dominated by the death of Alton Sterling, a 37-year-old man who was shot in the chest and back by police officers while he was selling CDs outside of a store in Baton Rouge, Louisiana. Sterling’s death has sparked a federal civil rights investigation, but for the average person, it’s easy to feel helpless and frustrated in the wake of these tragedies. Writer and actress Issa Rae has one suggestion: She started a GoFundMe campaign yesterday to raise funds to send Sterling’s five children—the oldest of whom, 15-year-old Cameron Sterling, broke down in a heartbreaking display of public mourning for his father at a press conference yesterday—to college. Rae says she’s been in contact with the Sterling family’s attorney, and all funds raised will be put into a college fund for the kids. But just because the goal was reached, doesn’t mean you can’t (or shouldn’t) still help. The campaign, which has raised $304,661 as of this writing, is still open and taking your donations here.